The No. 12 UC San Diego women’s water polo team took on McKendree University in the quarterfinal matchup of the Western Water Polo Association Championship. 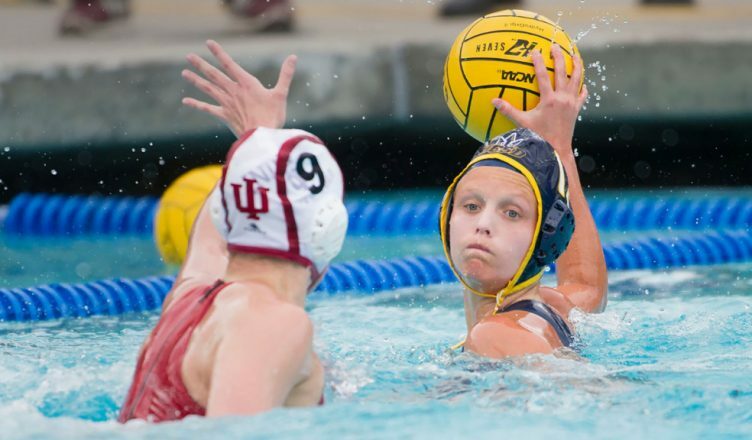 The tournament took place at UCSD’s Canyonview Aquatic Center over the course of three days, April 27 to April 29. The Tritons earned the number one seed in the tournament, and they looked every bit the title as they made easy work of their opponents with a 14–2 win over the 8th-seeded McKendree. With the victory, UCSD moved on to the semifinals where it faced Sonoma State University. The Seawolves had no answer for the powerhouse that is the Tritons, as the host earned a convincing 11–1 victory to book their spot in Sunday’s final. UCSD had control of this matchup versus the No. 8 seed from start to finish as they went on to win comfortably by double figures, 14–2. The Tritons scored 8 goals before McKendree scored its first. UCSD totaled 31 shots in the game compared to McKendree’s 18. The Tritons had total control of the game and caused the opponent to commit mistakes, including seven exclusions penalties. Freshman attacker Robyn Carter led the Tritons with 4 goals, while junior utility Carly Innis contributed with 3 goals of her own. On Saturday, the Tritons faced off against Sonoma, and it was business as usual for the host, earning a 11–1 win. The lone goal for Sonoma came in the opening quarter as it was the first to score, earning a 1–0 lead with almost half of the first quarter gone. From there, it was all Tritons as they went back to score 11 straight to earn a comfortable victory at the end. Carter added 3 more goals to her weekend tally as Innis and sophomore utility Jessee Ransone each added 2 goals of their own. After the win, UCSD dominated in Sunday’s final against California State University, East Bay, 12–2. Next up, the Tritons look to make some noise in the upcoming NCAA Championship.